Whether you're selling a product or engaging with your customers, email campaigns are one of the most effective ways to connect. 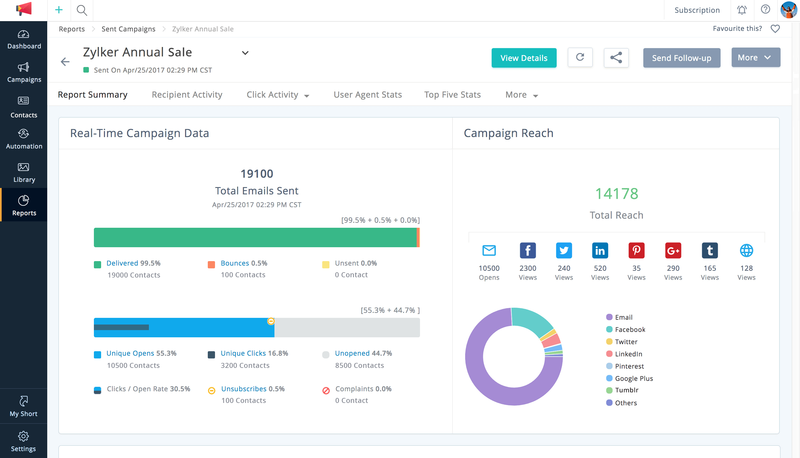 With Zoho Campaigns, you can create, send, share, and track email campaigns fast and effectively. 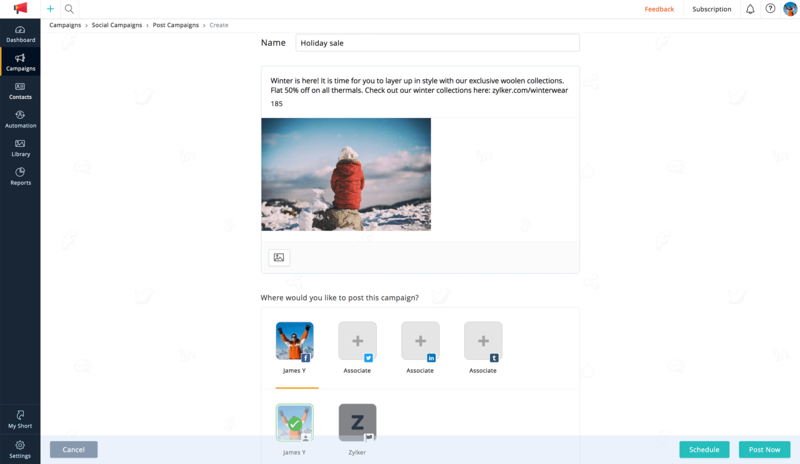 Import your subscribers from various sources including Zoho CRM, Eventbrite, and G Suite into Zoho Campaigns and engage with them right away. Test out two versions of your campaign to find out which one is most effective. Design nifty newsletters and communicate brand ideas to your audience in style. You can choose a template from our gallery, import your own HTML templates, or customize our basic layouts to get a stunning newsletter out. We have a wide mix of newsletter templates for every occasion. Pick one and create your newsletter in a fraction of the time. 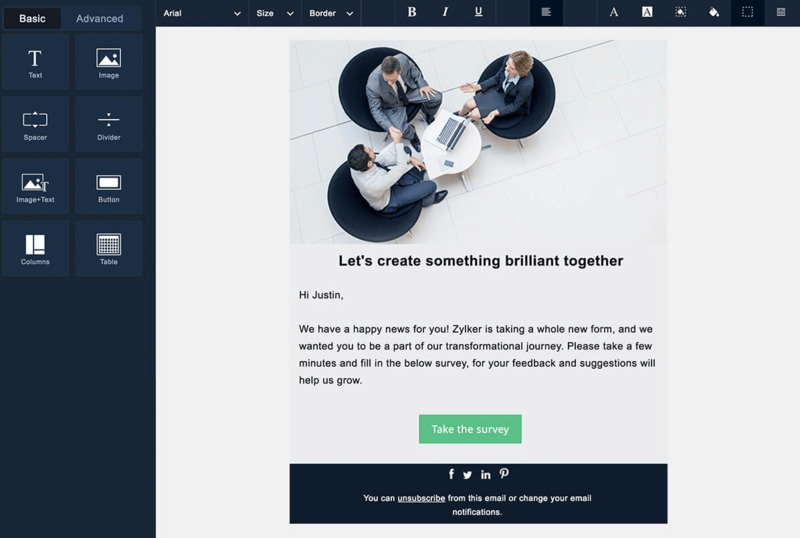 The email template editor lets you customize the look of your newsletters however you want—add images, text boxes, social buttons, and more. 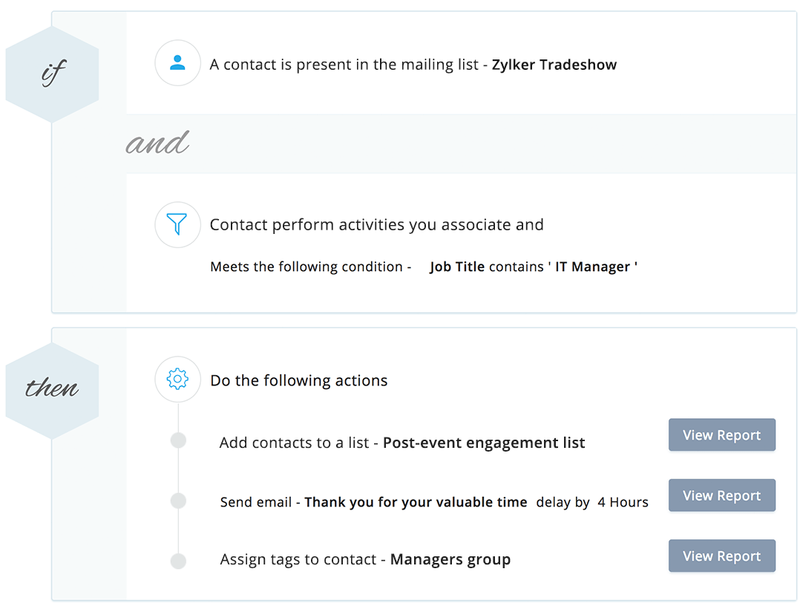 Trigger messages based on your recipients' interactions with your campaigns. Whether you're sending an onboarding, lead-nurturing, or customer-engagement series, all you have to do is to set the conditions and automation take care of the rest. Create and schedule an email series. 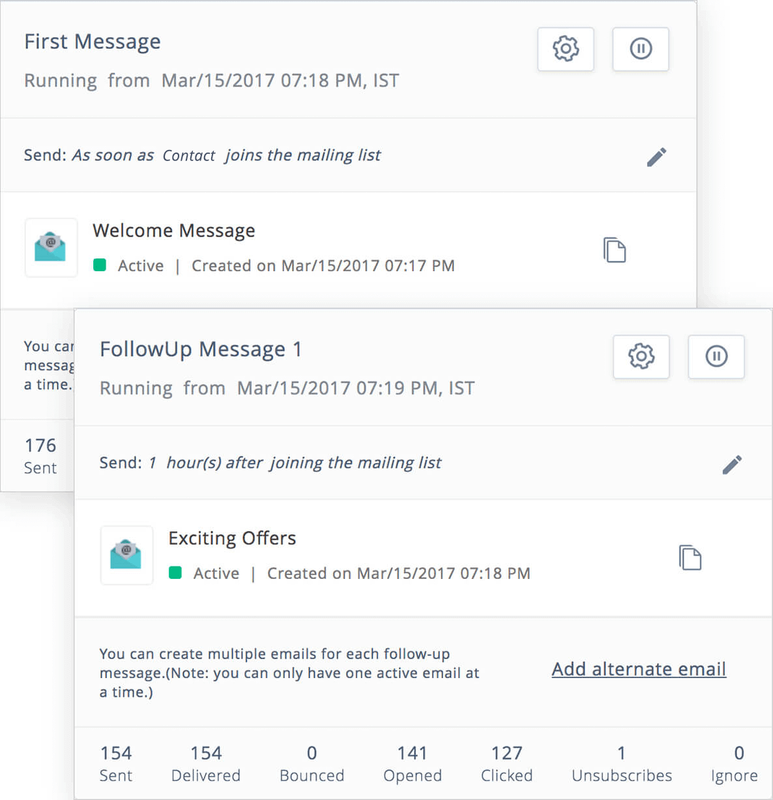 Autoresponders will send your messages to the right people at the right time, every time. Get your subscribers into the right mailing lists so you can pinpoint your target audience more precisely than ever. Your messages resonate with your audience better when they're tailor-made. This paves the way for a long-lasting customer relationship. Personalized emails provide superior results over cookie-cutter copy. Merge tags help you sound more human and build a better connection. You can't send the same email to everyone and expect great results. 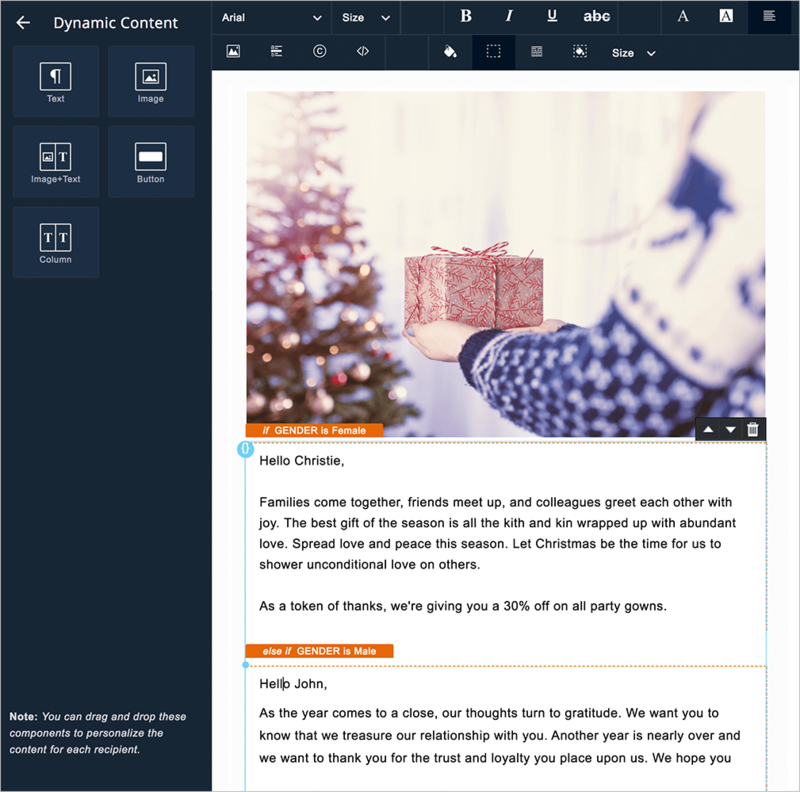 Dynamically change the content of your emails to sound more personal and improve your conversion rates. Sending the right number of emails to your audience is as important as the messages you craft. 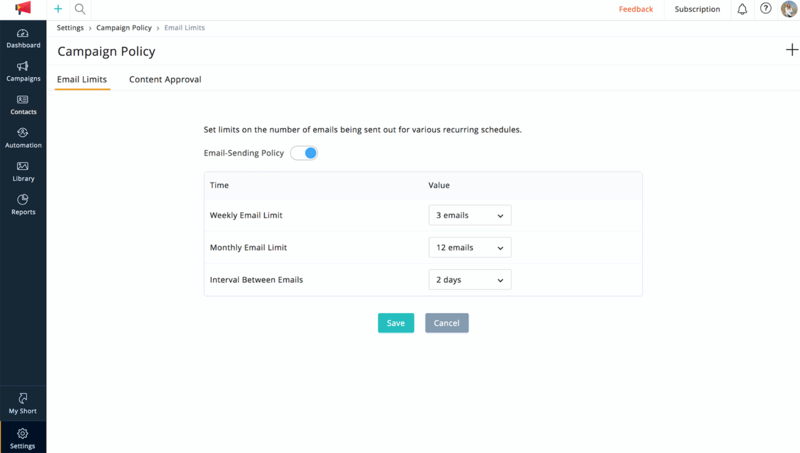 With email limits from Campaigns, you can hold in a check on the emails you send your audience over a period of time. Take your message to a wider audience by sharing your campaigns on social media. Post your campaigns on Facebook, Twitter, and LinkedIn to grow your fan base. 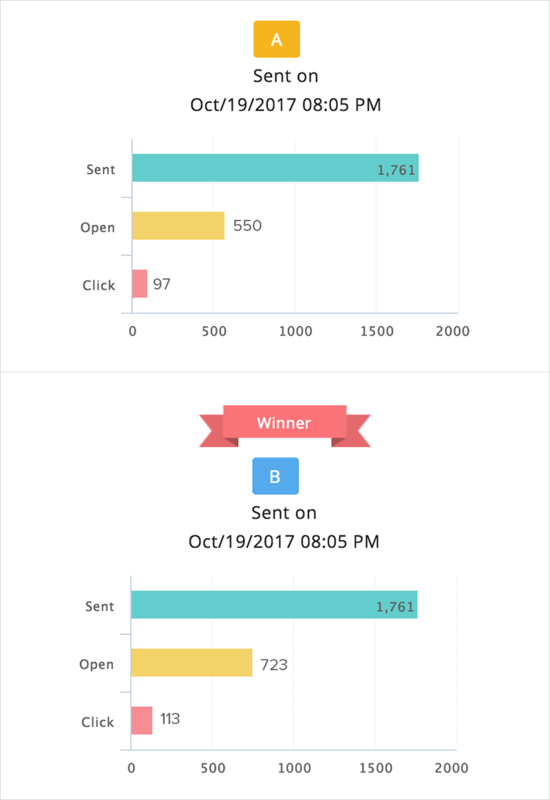 Keep track of campaign performance with intuitive reports that show how many clicks, opens, unsubscribes, bounces, and shares that your campaigns have received. 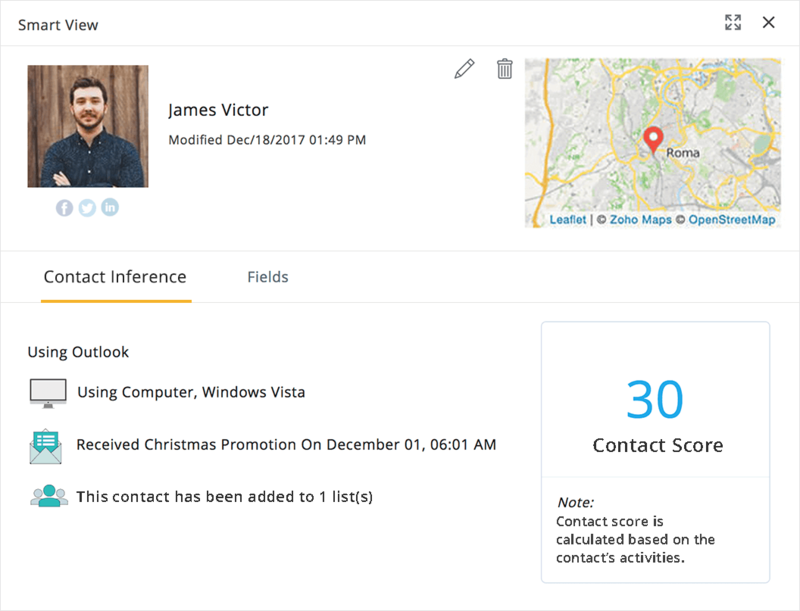 You can also track your recipients' locations with geo-location reports and find out if more people are viewing on computers or mobile devices. Don't wait until you're at your desk to send out campaigns. 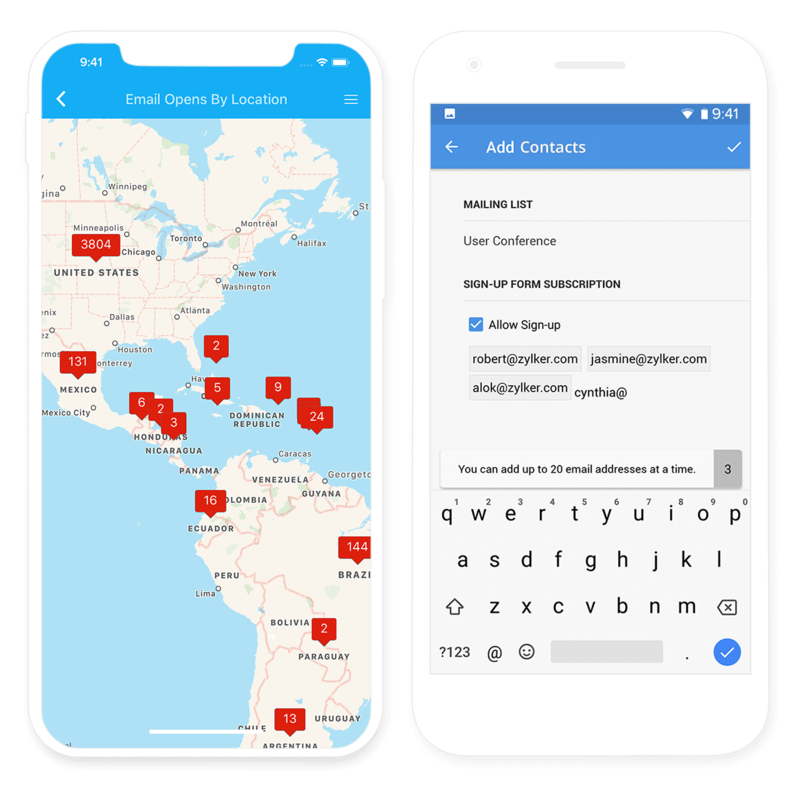 The mobile edition of Zoho Campaigns lets you add subscribers to your mailing lists, send campaigns, and check or share reports, no matter where you are.